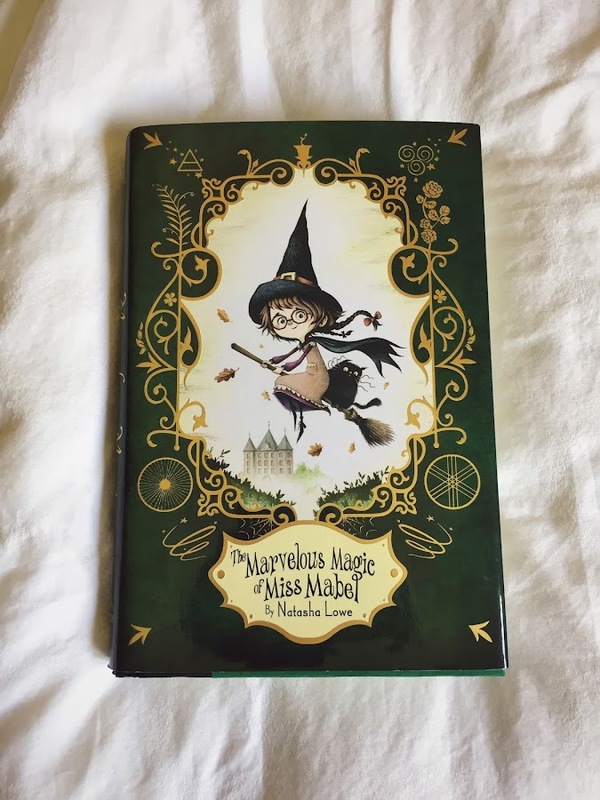 'The Marvelous Magic of Miss Mabel' by Natasha Lowe is a new acquisition, after much pleading from the kiddo. She has the other two books in this series and LOVED them, so I figured ok, why not? The first one she read was 'The Power of Poppy Pendle' and then 'The Courage of Cat Campbell'. 'Poppy Pendle' was a book that Julia INHALED, she loved it so much, about a girl who is naturally magical but really just wants to bake, while 'Cat Campbell' is about Poppy's daughter, and Cat DOES want to be a witch, much to chagrin of her baker-mama-who-didn't-want-to-be-a-witch. Confusing? Nah, they are all delightful, and all of the books have really cute recipes at the back! This newest one features a tale about Poppy's great-grandmother Mabel, following her (Mabel) story at a magical school when she (Mabel) was a little girl. Julia is so excited to read this, she has serious love for the prior two books. Author Natasha, when she was young, wanted to write, be an adventurer, and run a teashop, and she grew up to do all of those things, and I think that's coolest thing ever. You can read more about her and her books on her website. This trio of books is so cute and perfect middle grade fare for ages 8-12. Like I said, Julia has had a ball with these, and she was hopping with happiness when she saw this newest book in the series at the bookstore. Charming, sweet, and fun! If you want cozy witch books for your kiddo, stop right in front of these. If you really wanted to be awesome, you could get ALL THREE and give them as a gift - the covers are darling, and there are crafts and recipes at the end of each book - in this newest there are instructions to make Rose Petal Potpourri, Teatime Seedcake, a Nightime Treacle Posset, (a warm milky drink), Lavender Wands, and Personalized Smelling Salts. Did I mention that the 'Mabel' book is set in the Victorian era??? BE STILL MY HEART. I'm going to read it right after Julia! Sounds adorable. I always like it when a book includes recipes in the back, but I just realized the other day that I have never actually tried any recipe like that. I may have to make an effort. I can't believe I've never heard of these books! Thanks for sharing - I'm ordering them now. Oh gosh. I want based on the cover alone! Magic, baking... watch Just Add Magic!